HomeINTERVIEWSFuntuna Boiled Egg, Shelf life, Five Weeks. Olufunmi Ojo (Mrs), Animal Care, speaks about the Newly launched Colored Boiled Egg. Please tell us about Funtuna Eggs? At Animal Care, we produce Funtuna fresh and hard-boiled eggs. We also have Funtuna table water, which was launched about 2 months ago. 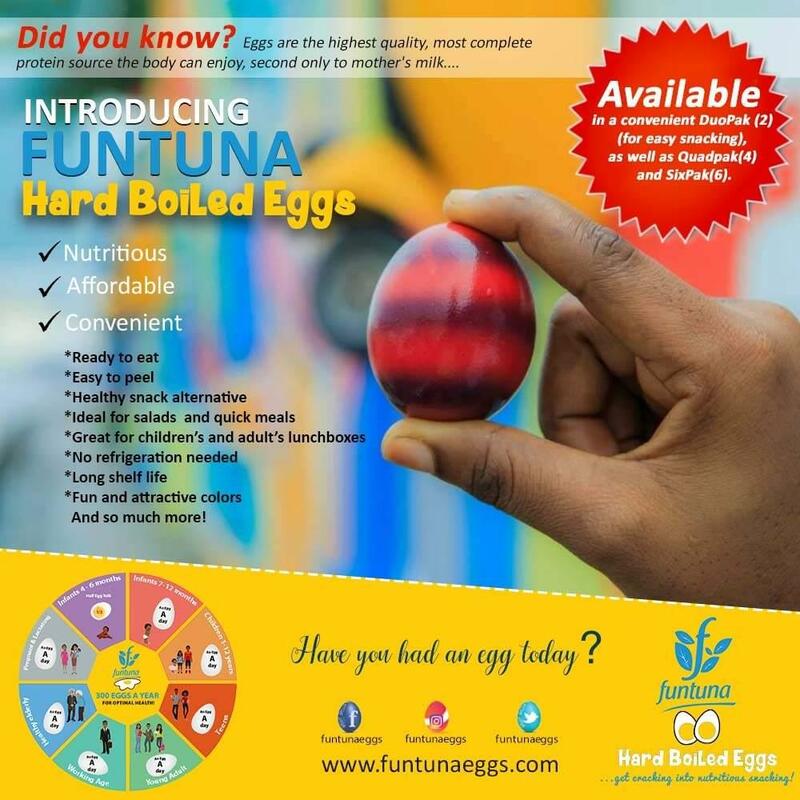 The Funtuna eggs are low in cholesterol, golden yellow yolk and the hard-boiled. The eggs are preserved, it can last for 5 weeks just peel off the shell and it’s ready to eat as a snack. How long have Animal Care been in business? Animal Care has been on for over 37 years in Ogun State Nigeria. We have been doing the packaging of Funtuna eggs over 30 years. How do you source your Packaging Materials? The packs are imported because we couldn’t find a local producer with good quality packs, thus, we imported the packs for our products. Also, some other feeding ingredients are being imported. The challenges are on the packs. Importation of packaging materials and feeding ingredients, Dollar rates rising every time and all that. 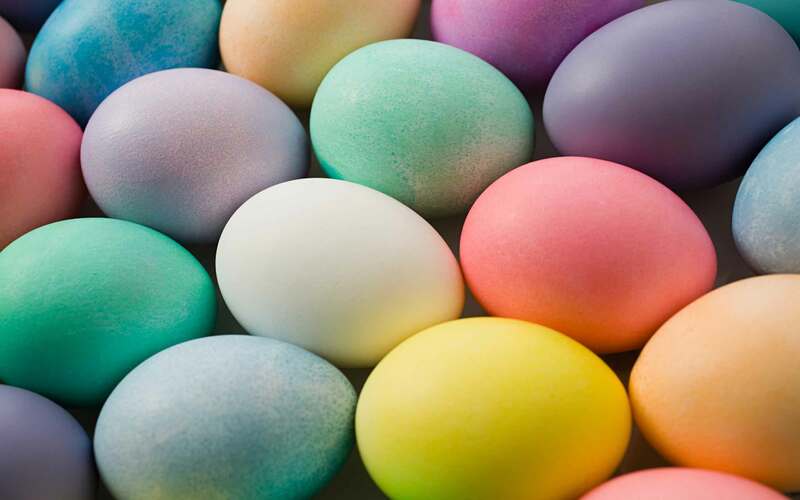 Why are some of your eggs Shells colored. What is it all about? They are boiled eggs, we boil and we paint/colored them. The paint/coloring is just to cover up the pores on the shell, eggs has thousands of pores; so that air will not diffuses inside. This tend to increase the shelf life. Share your experience in Food West Africa? This year has been quite interesting, better than last year; 2016, at least this year we’ve had so many contacts. We are here to do business and we have had so many contacts for distributorship, we’ve been able to clear the minds of consumers about our hard-boiled eggs début next week in the retail stores. What is your advice for the organizers of the fair? The fair has been good, it has been quite okay. I just noticed that we don’t really have more of Nigerian exhibitors if they could improve on that come next year.